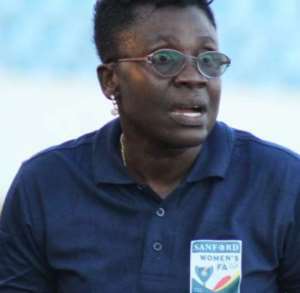 Mercy Tagoe, the interim coach of the female senior national team, the Black Queens has made history for being the first female coach of the team, to win a trophy at the just ended West Africa Football Union (WAFU) B tournament in Cote D' Ivoire. The Black Queens needed a lone goal from Janet Egyir to beat host Cote D' Ivoire, in the finals of the tournament, which saw Nigeria also defeating Mali by 2:1 to place third. The Black Queens had lost by the same margin to the host in the first group game but went further to beat Niger by 9:0 in their second game before edging out Nigeria 5:4 on penalties to reach the final. The team, which used the tournament as a rehearsal for the upcoming Confederation of African Football (CAF) Women's Nations Cup slated for Ghana in November, had Portia Boakye winning the Golden Boot Award with four goals and three assists, while Janet Egyir was adjudged the overall Player of the tournament.